South Africa's bowling attack blew Sri Lanka away as the Proteas claimed a 16-run win and the series in the second Twenty20 international. Big efforts from Reeza Hendricks (65) and Rassie van der Dussen (64) with the bat took South Africa to 180-3, but it was the work of the bowlers early in Sri Lanka's innings that made all the difference. 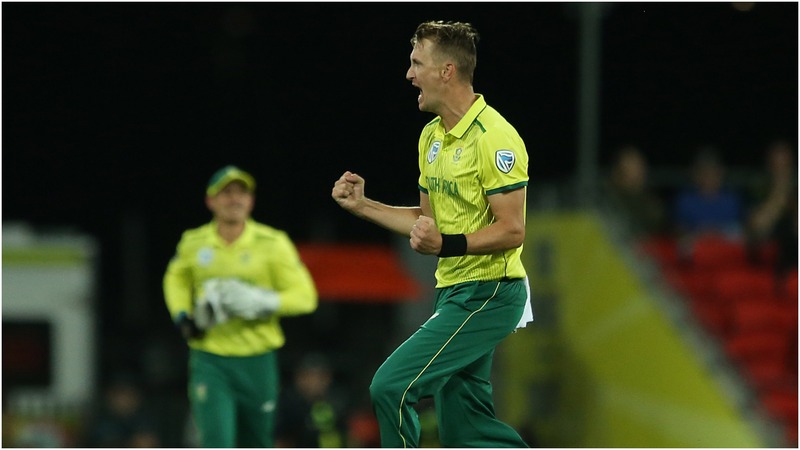 Chris Morris claimed three wickets while Dale Steyn and Tabraiz Shamsi took two apiece as the Proteas threatened to rattle through the Sri Lankan batsmen. They at least saw out the 20-over innings, but Isuru Udana's unbeaten 84 could not carry Sri Lanka back into the match and they fell short on 164-9. South Africa made a sloppy start with the bat as Aiden Markram swiftly chipped to Lasith Malinga, yet they then took complete control and Hendricks and Van der Dussen each cruised past half-centuries. The score was still a little on the low side as those two departed, however, and it fell to skipper JP Duminy to give their total an ultimately decisive boost. Duminy made 33 not out from 17 in a late flurry and the Proteas concluded their innings with 15 from the last over. And South Africa optimism soared further thanks to a stunning start with the ball as Steyn (2-34) took a pair for five runs from his first six deliveries. Morris (3-32) weighed in with his own double-wicket over shortly afterwards, with further dismissals following steadily thereafter. Only Udana offered any sort of resistance, but eight fours and six maximums from his 48 balls - plus another 15-run final over - could not stop the Proteas sealing a comprehensive victory.